All competitive men's rugby at a university has been put on hold amid concerns about conduct. 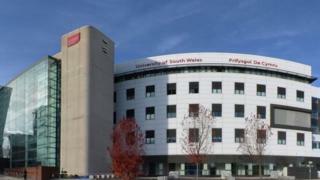 The University of South Wales said a number of students had been suspended while issues raised were investigated. It said some students involved in men's rugby may have "engaged in conduct incompatible" with expectations. Concerns have been reported to the Students' Union, the university and to the police, who are carrying out investigations. A spokesperson for the university, which has campuses in Treforest, Cardiff and Newport, said: "USW holds members of the university community to the highest standards of personal behaviour and we have zero tolerance of behaviour that falls below that standard." A South Wales Police spokesman said: "We have received information from staff at the University of South Wales and the matter is being investigated."